Giovanni Falcone and Paolo Borsellino. Source: Wikicommons. Italy has a new president in the form of Sergio Mattarella, a 73-year-old constitutional judge from Sicily. Mattarella was elected to the role in the wake of the retirement of Giorgio Napolitano, who had held the post for nearly a decade. The president of Italy has limited powers: he or she guarantees that politics complies with the Italian constitution, but real political responsibility remains with the government. However, the election of Mattarella is important for both the centre-left prime minister Matteo Renzi and his Democratic Party. 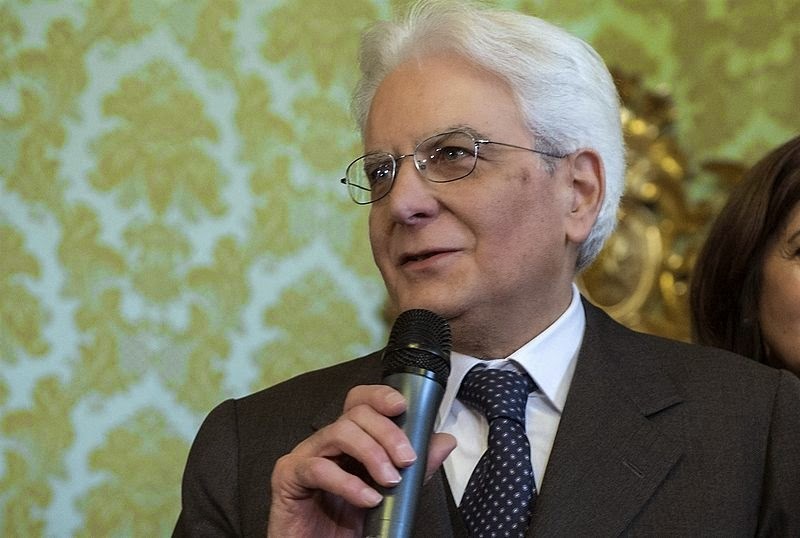 Mattarella represents integrity, and has made no secret of his contempt for the kind of politics that has bolstered the interests of former prime minister Silvio Berlusconi over the years. In securing the job for Mattarella, who is a former Christian Democrat, Renzi has humiliated his main rival Silvio Berlusconi, the former prime minister who is still leader of Forza Italia. He made the nomination without any consultation, and members of Forza Italia said that this went against the “patto del Nazareno” he had established with Berlusconi. This pact was agreed in 2014 in order to reform voting laws and the constitution. Voting laws need changing, as the current system makes it nearly impossible to legislate. Italians were expecting Renzi to agree with Berlusconi on the nomination of a candidate who had the blessing of both leaders. However, Renzi opted for a candidate who would be viewed positively by all the members of his own Democratic Party, including those who disagreed with the Berlusconi pact. Renzi has succeeded in severely weakening Berlusconi’s Forza Italia. In early January 2015, opinion polls put national support for the party at just 13%, and now around 40 out of 142 Forza Italia members of parliament voted for Mattarella as president, despite Berlusconi being against him. Forza Italia members are clearly starting to realise that Berlusconi no longer has a future in Italian politics. Sergio Mattarella is an incredibly bold choice for Italy. After holding different ministerial positions, and contributing to the creation of the Democratic Party in 2007, he became a judge of the Constitutional court in 2011. But he is most commonly associated with his firm stance against organised crime and corruption. He fought the mafia (unlike Berlusconi’s Forza Italia) and even resigned from his post as an education minister in the Democratic Christian government of Giulio Andreotti in 1990 when a law that would enable Berlusconi to further expand his media empire was passed. Mattarella’s father Bernardo, an anti-fascist who opposed Benito Mussolini, was one of the founders of the Christian Democratic party. But Sergio only entered politics after the murder of his brother Piersanti Mattarella at the hands of the mafia in 1980, when he was president of the regional government of Sicily. He went on to promote the “Palermo Spring”, which encouraged citizens to promote a culture of legality and rebellion against the mafia. This eventually led to the creation of associations that enabled them to stop paying protection money to the mafia. Supporting the movement was an unusual stance for a member of his party at the time. Other Christian Democrats in Sicily, such as Vito Ciancimino, who was mayor of Palermo, and businessmen Ignazio and Antonino Salvo – who were close to the leader of the Christian Democrats – were linked to the mafia. For these reasons and more, Mattarella represents the fight against corruption in Italy. His election follows that of Pietro Grasso, head of the National Anti-mafia Directorate, as president of the Senate in 2013. Together they have much work ahead. According to the Corruption Perceptions Index of 2014, which measures the perceived levels of public sector corruption worldwide, Italy was the most corrupt state in the European Union – and it was ranked 69th worldwide. And in 2014, a corruption ring was exposed in Rome, involving dozens of administrators and civil servants who now stand accused of criminal activities such as vote rigging, usury, extortion and embezzlement. Famous Italian writer Leonardo Sciascia, who denounced the power of the Mafia in Sicily, said that Mattarella was “tenacious and inflexible”. On his first day in the Italian parliament, Mattarella received a standing ovation. He said: “In the fight against mafia, we have had many heros. 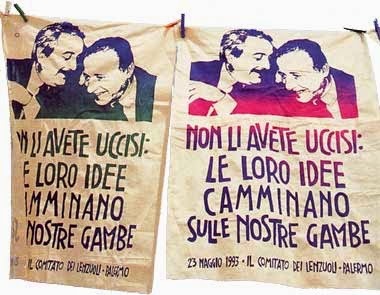 I would like us to remember Giovanni Falcone and Paolo Borsellino”, both anti-mafia Sicilian magistrates killed by the mafia in 1992. Now that he is president of Italy, he will no doubt be thinking about his brother, of whom he said he would share his values and behaviour in order to “benefit the good of all”. This article first appeared in The Conversation located here.